Considering filing bankruptcy in Satellite Beach, Florida? Some Satellite Beach residents may think bankruptcy is out of the question. Surrendering, only to be done when all other alternatives have failed and no other choice is left. The truth is that bankruptcy can breathe new life into a dying business or give a family a second chance to thrive, but if you wait too long, it may be too late to save your business, or you may have already lost assets you could have saved. 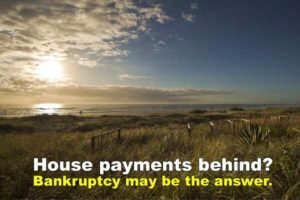 While many Satellite Beach residents may feel conflicted about discharging their debts, the truth is that more creditors recover more money when an insolvent debtor files bankruptcy than when they do not. That is because your non-exempt assets (property you cannot keep, as opposed to the property you can keep) get divided fairly among the creditors, instead of going to whoever gets judgment first. However, most people who file for bankruptcy relief have no non-exempt assets (meaning they keep everything). The exemptions in Florida are under Florida law, not bankruptcy law, which means even if you do not file bankruptcy, your creditors cannot take your exempt assets. In essence, bankruptcy stops your creditors from wasting money paying debt collectors to harass you and lawyers to get judgments against you, only to discover you were telling the truth, you really cannot afford to make a payment. Chapter 7 is one of the quickest and most comprehensive means for dealing with your debt. 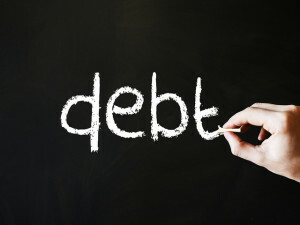 All of your creditors are required to participate, which allows you to obtain true debt relief when your case is over. Chapter 7 bankruptcy is often called a “liquidation” bankruptcy. It is available for business debt or consumer debt, but there are income-based restrictions for Chapter 7 relief if your debt is primarily consumer debt. However, as stated above, if you have no assets that are not exempt, there is nothing to liquidate. If you do have non-exempt assets, you will surrender them to the Trustee, who will liquidate them (convert them to cash) by selling them, possibly back to you if you offer a fair price, which you must pay generally within one year of filing. After your creditors have had an opportunity to object, if no objections are sustained, most of your debts will be discharged (some debts like those arising in divorce, student loan debt, debts arising from criminal acts, and some tax debt cannot be discharged). Generally you cannot keep property that secures a debt unless you reaffirm that debt, meaning you remain obligated to pay it (examples would be mortgages on homes or car notes). Currently, however, you can “strip” a wholly unsecured mortgage from your home and discharge the debt in bankruptcy. That means if you owe a first mortgage of $100,000, and a second mortgage of $50,000, on a home currently worth $75,000, you can strip the second mortgage and discharge the $50,000 debt, leaving you with only $100,000 mortgage. Under Chapter 7 it generally takes four to six months to obtain a discharge, and if you have no non-exempt assets for the Trustee to liquidate your bankruptcy would most likely close quickly thereafter. There are factors that can make discharge take longer, and assets to liquidate create a bankruptcy estate that the Trustee must administer (account for and divide among the creditors). Chapter 13 is often called a “reorganization” bankruptcy. Also available for business debt or consumer debt, Chapter 13 requires the debtor (and their attorney) to create a repayment plan that lasts either three or five years, depending on the debtor’s income. Chapter 13 is not available for debtors who debts exceeding certain thresholds. Chapter 13 can be a great option for homeowners who have fallen behind on their mortgage payments, because they have the life of the plan to catch up any arrearage, bringing their mortgage current. There is also an opportunity to mediate with your mortgage lender to make your loan more affordable, and the success rate in Chapter 13 mediation far outpaces that of state foreclosure court-ordered mediation. You can also “strip” any unsecured liens from your home in a Chapter 13, meaning that the lien against your home is removed, and the debt is treated as an unsecured debt, like a credit card. To create your plan we look at your monthly income, which must be reasonably stable, and your monthly expenses. Your monthly expenses are determined by using some of your actual monthly expenses (for things like mortgage or car payments), while others are based upon statistical averages (things like your food, utilities, and vehicle-ownership expenses). After subtracting your expenses from your income, what remains is called your “disposable monthly income.” Your plan will consume your disposable monthly income for its duration. You will pay your disposable monthly income to the Chapter 13 Trustee, who will collect the money and distribute it among your creditors according to the Plan. At the end of the plan, if all payments have been made as required, any unsecured liens may be stripped, and any unsecured debt that was not repaid under the plan is discharged. Chapter 11 is also a “reorganization” bankruptcy, available to business or consumer debtors. There are no income or debt barriers to Chapter 11, but it is generally more expensive and difficult to complete than Chapters 13 or 7. When you hear in the news that an airline or automobile manufacturer has filed bankruptcy, it is usually under Chapter 11. Chapter 11 bankruptcy can be a very complex process. The debtor is required to provide a monthly accounting of all income and expenses, and is subject to the supervision of the United States Trustee. The Chapter 11 debtor must obtain permission from the Bankruptcy Court to pay the business owners’ salaries (in the case of a business bankruptcy), to pay any wages owed at the time of filing, or to hire professionals (including the attorney who files the Chapter 11 Bankruptcy Petition, and the accountant who prepares their tax returns). Like in Chapter 13, you must create a plan in Chapter 11. However, in Chapter 13 your plan must simply comply with legal requirements, and then if it is confirmed by the Court, when your payments are complete, your dischargeable debts are discharged. In Chapter 11 you must send copies of your plan and a disclosure statement clarifying the details and effects of your plan on all of your creditors, with ballots. Your creditors are then permitted to vote on your plan. Unless sufficient creditors vote to confirm your plan, the Court will not confirm it. There are exceptions allowing a plan to be confirmed over the objections of all creditors, but generally the debtor will not be allowed to keep any property under those exceptions unless all creditors are repaid 100% of their debts with interest, under the “absolute priority rule.” In the case of General Motors, owners of the pre-bankruptcy GM stock were left with worthless stock, and stock in the new General Motors Company was made available through and Initial Public Offering in November of 2010. Chapter 11 is difficult, and very few Chapter 11 Bankruptcies result in a confirmed plan, with even fewer succeeding. A business considering Chapter 11 must consider feasibility. Bankruptcy reorganizes debts, and if debt service is keeping you from succeeding, reorganization may work. If your business does not generate enough income to cover its ongoing expenses (like utilities, necessary rent, and payroll), it is unlikely that reorganization will help. Michael Faro and J. Christopher Crowder have both successfully obtained confirmation of reorganization plans in Chapter 11 Bankruptcies. If your business, homeowners’, or condominium association is struggling to keep up with debt payments, schedule an appointment to talk about creating a plan to get back on track. We provide services throughout Central Florida and the Space Coast including Melbourne, Titusville, Palm Bay, Merritt Island, Cocoa, Cocoa Beach, Satellite Beach, Cape Canaveral, Indian Harbour Beach, Rockledge, Eau Gallie and West Melbourne. Contact our office today to set up a free consultation with a bankruptcy relief attorney.